Charm was a member of the Dutch standards committee for Compliance Management. 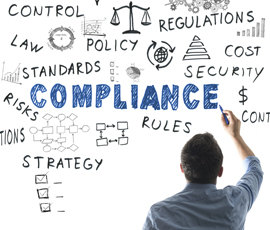 Along with members of the financial, chemical and energy sectors Charm is committed to the development of a modiale directive for compliance management. Jenny	Thunnissen,	inspecteur-generaal	IL&T	and	Alexander	MacLean,	head compliance	ING	Nederland received the first copies. Read more about the successful introduction seminar.